have conducted an ongoing survey asking feedback directly from the candidates. This survey report summarizes the findings of more than 37 000 candidates who took the survey. 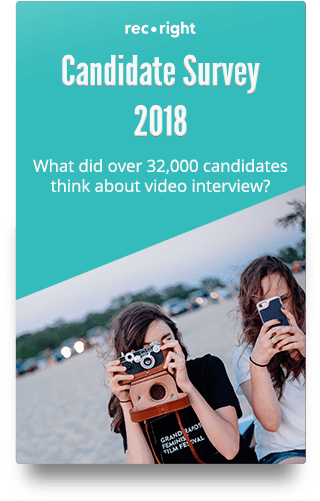 What more than 32 000 candidates think about video interviews in 2018? Download our most recent Candidate Survey and apply to your own recruitment process. 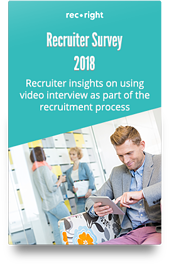 We surveyed more than 170 recruiters worldwide with the purpose of better understanding how video interview is taking shape and becoming more mainstream as a recruitment method and a way to make hiring more efficient. Now you can find all the insights from the survey summary report. New to video interviews? 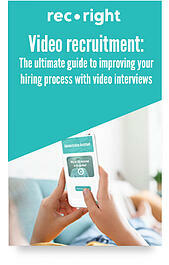 Don't worry: this ebook will give you practical tips and ideas on what to consider when conducting video interviews. Over 40 000 candidates answered to the survey after they had participated in video interview. 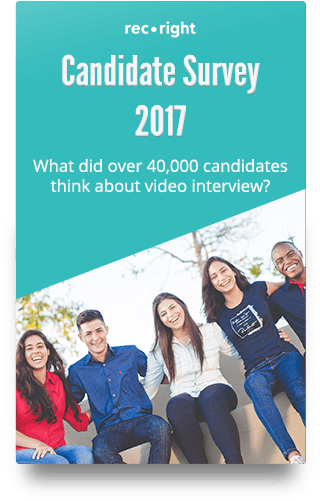 Read what candidates think about video interview as a method. 186 recruiters answered recruiter satisfaction study in June 2017. 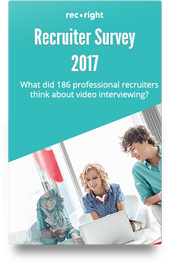 This study shows how recruiters think about video interview and how video interview simplified recruitment process. 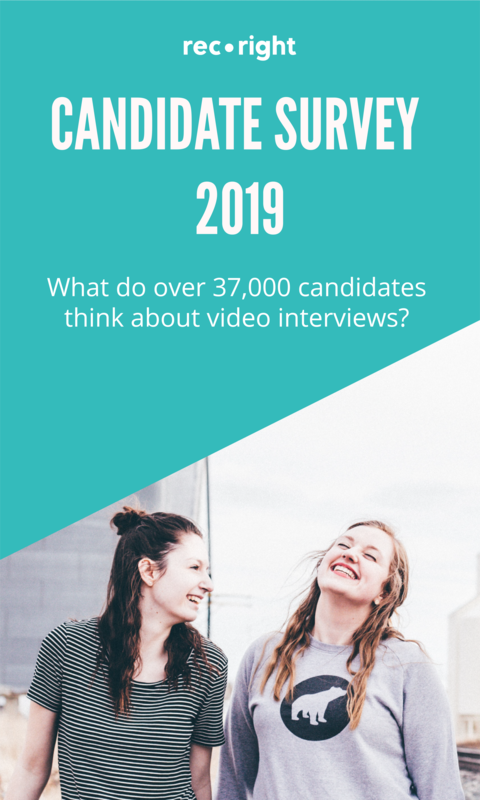 Last year we published a Candidate Survey, where we interviewed 899 candidates after they had participated in a Recruitby.net video interview as a part of the recruitment process. Now we publish an updated version of the survey with much larger data - total of 14,832 candidates replied to our survey between February 2015 and March 2016. Video interviewing & candidate experience are often talked about, but there's rarely any real data available. What do candidates really feel about video as a part of the recruitment process? Is video interviewing just another painful step when applying for a dream job, or is it viewed as a fresh, new method to replace endless forms? Wouldn't it be nice to read some data from recruiters who have already conducted recruitments with video interviewing tool? 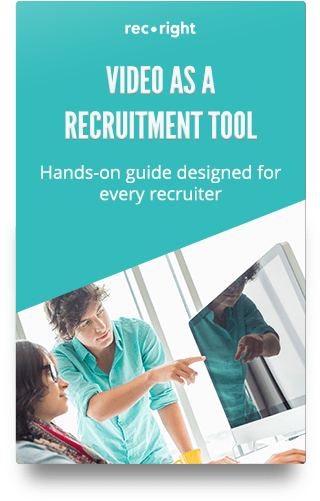 We interviewed 96 professional recruiters who have used our tool in their recruitment processes. What is video recruitment (and why should you care)? 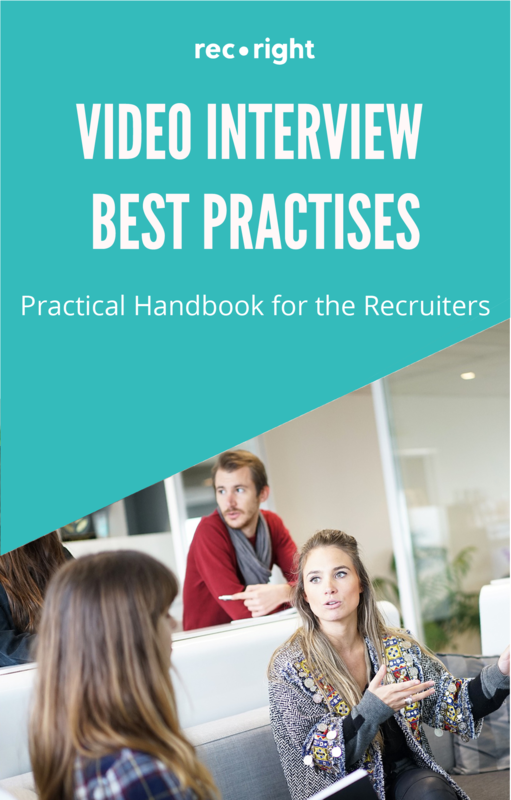 In this ultimate guide, we’ll cover nearly everything you need to know about video recruitment, including the benefits, best practices, and practical tips to get started. In many companies, recruitment is often one of the last areas that is developed in a truly innovative way. Maybe the recruitment process is working somewhat ok but it can't exactly be called lean and fully optimised. 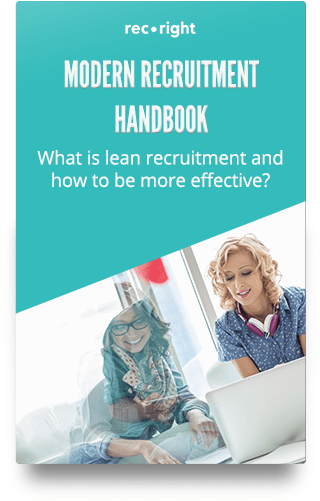 This hands-on guide shows you what is lean recruitment and how to be more effective. 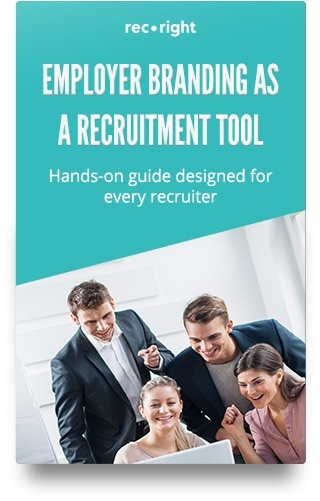 This hands-on guide offers you several concrete examples and models to map out the current company culture and build your image as an employer. If you are considering to make your recruiting process more efficient or you want to enhance your employer image, video interviews are a great asset to improve these two together. 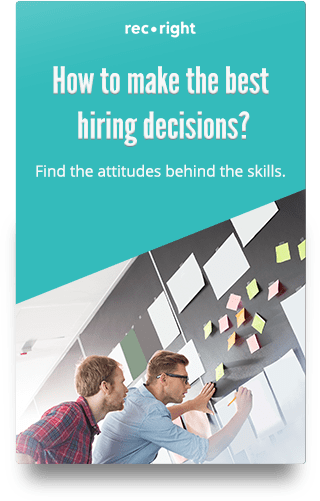 Read what questions to ask to assess attitude of the candidate and what other factors to inspect to make sure you are hiring the right person. 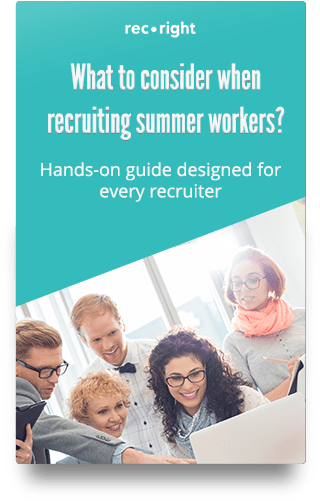 [Guide] What to consider when recruiting summer workers? Summer recruitments can bring a load of work all over the organisation, but can also be an excellent opportunity to engage your future superstars early. 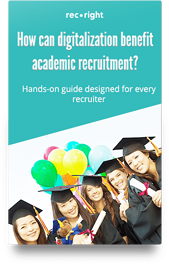 [Guide] How can digitalization benefit academic recruitment? Private sector has utilized digital tools for several years as a part of recruitment processes. However, academic world has been slow to adapt to this trend. How could they benefit from digitalization as well when it comes to recruitment?